at (828) 325-4966 or DSDeHart@aol.com. Sick of existing in recession-inspired survival mode? You?re not alone. to find inspiration and take action to move their businesses forward. Birmingham, AL (February 2009)?Last year was a tough year, all right. Though we didn?t get the official word until December, you suspected all along we were in a recession?and you responded accordingly. You cut costs to the bone. You laid off anyone not absolutely critical to your operation. You stretched your resources (and probably your employees) to the breaking point. But now that a fresh new year is here, you?re sick of (to exaggerate a point) working by lamplight and sharing the single office paperclip. You?re ready to take the bull by the horns and start producing revenue again?but you?re not sure how. ?It?s funny how fear can paralyze even the most dynamic leader,? says Gayle Lantz, author of the new book Take the Bull by the Horns: The Busy Leader?s Action Guide to Growing Your Business?and Yourself (WorkMatters Press, 2009, ISBN: 978-09789678-1-9, $24.95). ?It?s almost like you forget how to move from ?survive? mode back into ?thrive? mode. But in order to set your company apart from its more timid competitors, you?ve got to figure out how to aggressively move forward?now, if not sooner.? In her book, Lantz argues that the success of businesses is not based only on the quality of talent in their organizations but also on the quality of thinking done by their leaders. Now is the time leaders must take the bull by the horns to achieve what?s most important, and to coach others to do the same. ?To be most successful, you need a fearless mindset coupled with strategic action?a balance of inspiration and practicality,? she adds. Remind employees that the current situation is temporary. Your employees are probably mired in the doom & gloom that?s permeating the rest of America right now. No wonder. It?s easy to let the current mood convince you that the future is bleak and it?s never going to get better. By assuring employees that the recession is just a blip on the radar, you free the creative energy you?re going to need to pull your company out of its slump. ?Call your team together and emphasize the bigger picture and long-term focus,? advises Lantz. ?Paint a very specific scene in which employees can see themselves thriving. Discuss the positive impact the organization will make serving your market. The psychology of this is very powerful?if your employees can see it, they can achieve it.? Shine a light on the optimists in your company. Seek out the most positive, ?can do? people in your organization and put them in more prominent and visible positions. Encourage them to share their ideas. If at all possible, implement them. Even if the ideas don?t ultimately bear fruit, other employees will ?catch? the optimistic spirit that brought them into being. By fanning the flames of optimism in your company?even if they?re mere sparks?you can create a conflagration. ?Also, on a personal level, surround yourself with optimistic fellow leaders and employees,? says Lantz. ?People who have a vision and a strong faith about the future will keep your own spirits from flagging.? Ask better questions. You aren?t always the ?answer man? (or woman). Too many leaders feel pressure to come up with solutions themselves. In so doing, they deprive themselves of a rich storehouse of creative ideas. Somewhere in the minds of your colleagues and employees lies at least one company-saving idea. Your job is to excavate it by asking the right questions. ?Set a positive tone with your questions,? says Lantz. ?Instead of asking, ?How can we get through this?? ask, ?How can we take charge of this situation and achieve outstanding results?? Resist the urge to tell too much. Use coaching questions like ?What support do you need to be successful?? and ?What?s holding you back??? Be willing to try something completely different. Remember, the status quo brought you to this point. Take calculated risks. You don?t have to (nor should you) throw caution to the wind, but continuing to do business the same way you?ve always done it may be even riskier than experimenting with something new. ?Don?t think ?failure? ; think ?testing,?? suggests Lantz. ?By experimenting, you?re testing an idea. If it doesn?t work, no harm done. Just try something else.? Help customers win their own recession war. The absolute best way to shore up relationships with your top customers or clients is to make sure they?re fiscally healthy. This year, concentrate on understanding their unique challenges and opportunities. Make it your mission to develop a new solution for them. Not only will you keep them happy, you?ll inspire them to refer you to others. ?Anyone can help companies do the same old, same old,? remarks Lantz. ?But even if you do a bang-up job at it, that?s not what they need. They need fresh ideas that will help them grow and thrive, too. Serving them in this way ultimately serves you, too.? Infuse your workplace with a wave of energy. No, we?re not suggesting doubling your team?s coffee consumption. Rather, help them engage in their work and with each other in stronger ways. Break silos by creating opportunities for people to come together from different areas to talk about ideas and solutions. And leverage the natural energy of your most motivated employees by getting them involved in projects that interest them. And remember: Optimism is the best energy booster of all. ?Celebrate every success or breakthrough, no matter how small,? Lantz advises. ?And squelch negative attitudes when they raise their ugly heads.? Identify and invest in your top 5 percent. Remember, your future is only as strong as the people who will lead you into it. Make a list of your top 5 percent of leaders or potential leaders?those highly motivated men and women who show strong energy and the desire to move your company forward. Then, suggests Lantz, invite them to participate in strategic discussions about your future. ?Help these 5-percenters understand what?s most important to the organization and how decisions are made,? she urges. ?Then, schedule a meeting to request specific action on their part, such as communicating plans to the team, gathering feedback, or assessing potential for a new project.? Ultimately, says Lantz, by setting your expectations higher?a lot higher?than you did last year, you?ll almost certainly see an improvement in your business. ?It really is that simple,? says Lantz. ?Any parent or teacher will tell you that when you set the bar low, kids live down to it. And when you set it high, they live up to it. Well, adults are no different. Most of us have mentally had our bar set on ?survival? for the past year or even longer. In fact, the recession itself is the result of our low expectations. ?You can?t control the level of performance the rest of America will accept, but you can control your own,? she adds. ?Take the bull by the horns this year and start business flowing again. We?ve been bearish for too long now, and it?s time to get bullish.? FREE REPORT: Lantz offers a free Special Report called Bull Bytes: 12 Bull-by-the-Horn Strategies to Boost Your Business. To receive a copy, please visit www.workmatters.com/signup. 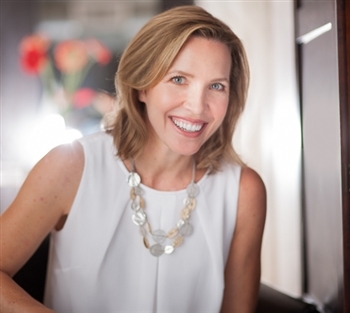 Gayle Lantz is President of WorkMatters, Inc., a corporate consulting firm that helps companies improve performance by growing great leaders, engaging employees, and helping people make the most of their work. Clients include NASA, Microsoft, Southern Company, MassMutual Financial Group, and Compass Bank as well as a variety of small and mid-sized businesses. Gayle is a former officer with TIAA-CREF, a national financial services organization and leading provider of retirement services in the academic, research, medical, and cultural fields. She frequently speaks to groups on issues related to personal and organizational effectiveness. Her articles and/or quotes have been featured in a variety of business publications including Harvard Management Update, Wall Street Journal Online, Human Resource Executive, Chicago Tribune, and FastCompany.com. Gayle is the publisher of My Daily Coach Calendar, the Mastermind Quick Launch Kit, and WorkMatters Tips, a free ezine for leaders available through online subscription at www.workmatters.com/signup. 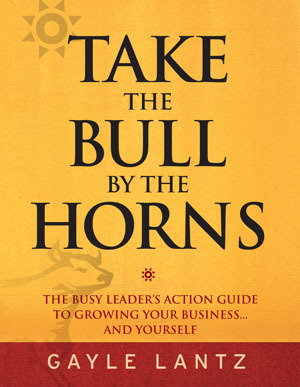 Take the Bull by the Horns: The Busy Leader?s Action Guide to Growing Your Business?and Yourself (WorkMatters Press, 2009, ISBN: 978-09789678-1-9, $24.95) is available at select online retailers, at http://workmatters.com/books, and through special distribution in Canada. Retail, online distribution, volume orders, custom print runs and other inquiries can be directed to WorkMatters at 205-879-8494. The specific link to the page at Amazon.com that features the book is: http://www.amazon.com/Take-Bull-Horns-Business-Yourself/dp/097896781X/ref=pd_bbs_sr_1?ie=UTF8&s=books&qid=1232990855&sr=8-1. Get E-mail Alerts When Gayle Lantz - Leadership Expert Sends news releases.